On June 3, 2015, Daisy E. Castro was admitted to the state of California. By the time she was admitted to practice law, Daisy had already worked 6 years working in civil litigation. She was recognized as a featured law clerk by Nationwide Insurance, while working at their in-house defense team in Fresno. Since obtaining her license, Daisy has been practicing workers’ compensation, family law and personal injury. She was hired at the firm during the fall 2014. She vigorously represents employers, third-party administrators and insurance carriers with respect to workers’ compensation claims and related matters. Daisy received her Bachelor’s degree in Spanish Language from the University of California at Riverside in 2007. She received her law degree from San Joaquin College of Law. In 2012. Before graduating, John had clerkships in both the public and private sectors. She was a member of the legal fraternity Delta Theta Phi. Daisy is a member of the State Bar of California. She is on the diversity committee for the Young Lawyers Division of the American Bar Association. 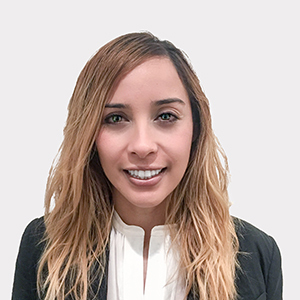 Additionally, Daisy is an active member of the Women Lawyers Association Los Angeles, where she participates in the law student mentorship program. Daisy participates as a judge for the annual UCLA Moot Court Competition and even had the opportunity to judge the All-State Mock Trial competition in 2017. As a lawyer, I have come to learn that learning is an endless endeavor. There is always something to learn, whether it be from experience, my clients, or peers. My passion for knowledge is what will continue to drive me throughout my career. Every “problem” is a personal challenge to grow and expand my knowledge. Though this might seem daunting to some, it is exciting to me that I have found a niche, where I will never be stagnant and will continue to be challenged. When I am not challenging myself though my cases, I am challenging myself on the race course. I am an avid runner, who trains year round. Running, while providing time to meditate, also provides me with a different kind of physical and mental challenge. Through my running, I have learned the importance of discipline, confidence and teamwork. My team and discipline helps to get me to the start line of all my races; however, it is my confidence that pulls me across that finish line. Passion allows you to push past both mental and physical exhaustion.